Joe’s Weather Blog: Want To Learn More About Severe Weather? Good morning and thanks for stopping by and reading the FOX 4 Weather Blog! Today we’re going to talk a little about severe weather and also about a significant change coming over the weekend and early next week with the weather, including the likelihood of a potential hard freeze…but first things first, your 36 hour forecast! Tomorrow: Mostly sunny with increasing winds from the south. Winds again back in the 20-30 MPH range with highs 70°-75°. Many of the readers of the blog may have, at one time or another taken a class in learning to spot and report severe weather from the NWS in Pleasant Hill and/or Topeka. These classes are about done for the season however the you can still learn some of the basics by going to this site and clicking on some of the links. So you’ve done that and/or you’ve taken the 1st class..but you still find yourself wanting to learn more or perhaps you’re a storm chaser/spotter and want to learn some additional tips or ideas about chasing and staying safe. Perhaps you want to meet others who have the same passion for weather as you have. If so I’ve got a interesting and fun way for you to spend this Saturday. The folks at the Douglas County Emergency Management put together sort of an advanced “Severe Weather Spotter Training Day”. They get some great speakers and make a full day out of it. This years session starts bring and early and continues throughout the afternoon. Here are all the details. The sessions will be in Lawrence and for those who want to learn more about severe weather and some other stuff weather related it’s a great way to spend a day. There is a $15 fee to cover your lunch etc but I highly recommend it. I’ve been going out there for the past 5-10 years and always find the presentations great. So far this year there have been reports of 93 tornados…well below last years pace. Last year ended up being the slowest tornado season going back to at least 2005. 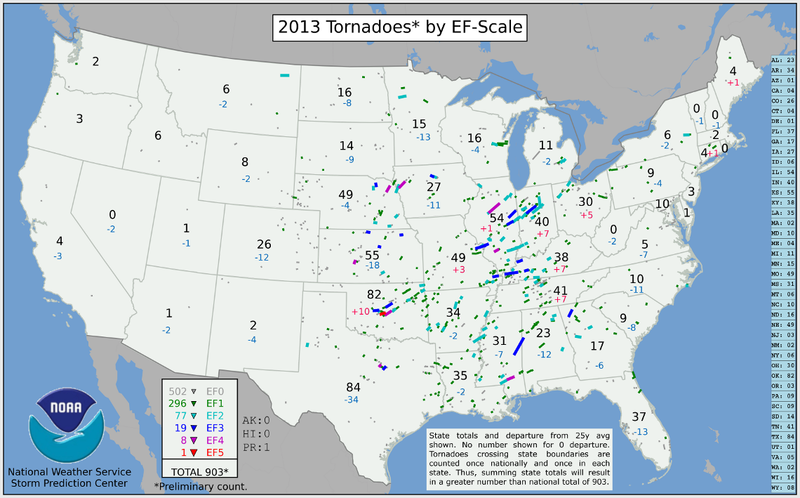 Also interesting is that so far this season there hasn’t been an EF3 or higher tornado yet. Just some things to think about as there is growing concern with my colleagues and I that this year we’re do locally for something more active in terms of tornados. The good news is that the pattern will not support anything dramatic for a few more days or for next week. There is a storm though over the weekend that needs to be watched although the severe weather set-up doesn’t look too favorable for us at first glance. This is the same storm that I wrote about yesterday and it’s still on track to arrive later Saturday and especially into Sunday. The EURO has slowed down it’s arrival into Sunday and would give us the specter of some severe weather. The GFS is about 18 hours faster and brings the front into the area later Saturday night with us in the cold air on Sunday. Still too early to figure out the timing for sure on this…but let’s watch the frontal timing. For those wanting more rain…you want the EURO’s slower solution to be more correct because it would allow more moisture to come into the area and with the slower arrival to the front allow more instability to build up on Sunday creating more thunderstorm activity. Regardless of what happens there will be a good shot of cold air behind this next front and for gardeners please be aware of the freeze potential for early next week. Hey Joe – my father and I will be attending this symposium this year and I’m really looking forward to it! I’ve attended spotter trainings held by the NWS in the past but I wanted to look for something more in depth, especially now that I am working on getting my ham radio license. Quick question about the tornado warning map you posted – has there actually never been a formal tornado warning issued in Alaska or was the data just not available? I’m assuming the former since pretty much all videos and or training sessions note that they have touched down in all 5 states. I meant the latter on my comment there – assuming the data was not available. I am wondering why you think we are due for possible tornados in our area. Whether it is just odds or it’s the way that things are looking.